You should know the story by now, girl loses slipper falls in love etc, etc. Well now play the slot! 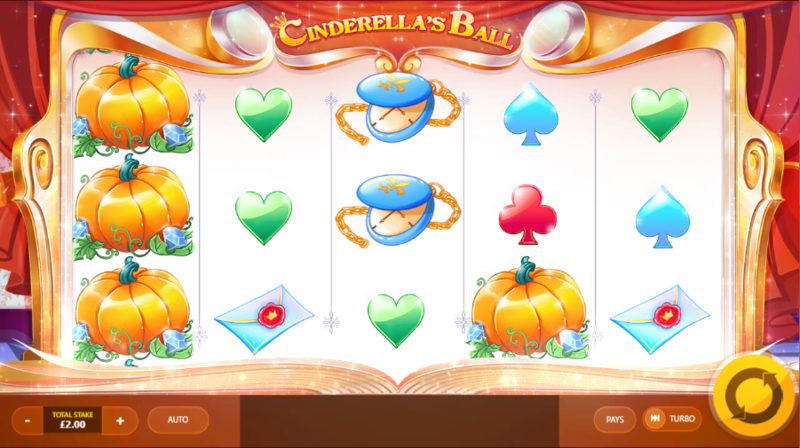 Developer Red Tiger Gaming have yet another hit on their hands it seems with the release of Cinderella’s Ball, a 5 reel by 20 pay-line game, one that is chocked full to the brim of additional features and references to the story that is popular across the globe! You can play this one from as little as 20p per spin, which is incredible given just how fun it all is and the financial implications there are with each and every spin given the amount of additional features that can be found throughout. If you love the story of Cinderella, then you will no doubt fall for this one, it’s that good, if you wish to learn more then be sure to check out the rest of our review below for more info! Or you can discover more about Easy Slots by clicking the link. Wild: The glass slipper symbol is this slots chosen wild symbol, not only does matching this symbol give you a handsome reward, but it also substitutes symbols on the reels for scatters which can be used in other places to get higher scores as a result! 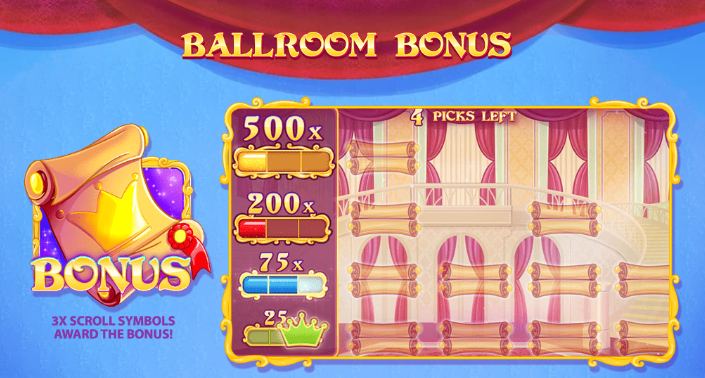 Ballroom Bonus: This bonus has you matching colours in an alternate game that will add to your scores tenfold. Simply match the 3 scroll symbols to enter this round outright! If you like the sound of these bonuses, you should check out our gambling promotions page for more! Cinderella’s Ball is the perfect slot for any Disney fans out there. The tale of Cinderella is incredibly popular, so it wouldn’t surprise us if people just wanted to play to take advantage of how simple this slot is to master and how much money you can make from only a handful of spins. Red Tiger Gaming are very gifted when it comes to the products they create, with this slot only continuing this trend. Be sure to check it out if you find the time! If you enjoyed Cinderella's Ball, read more for games of a similar variety.